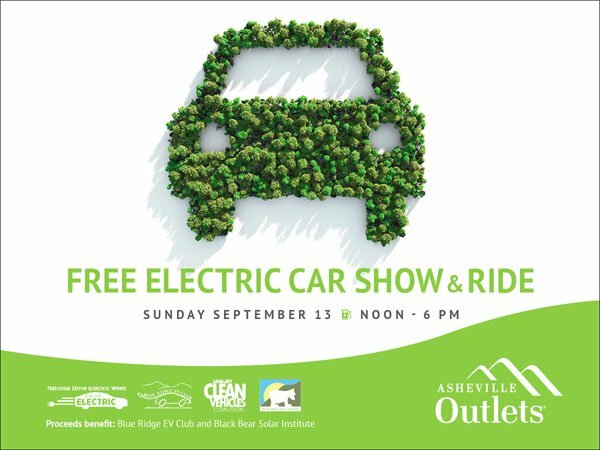 The Clean Vehicles Coalition is a Clean Cities program of the Land of Sky Regional Council in the Western North Carolina area. We were designated by the US DOE on July 26, 2012 as an official Clean Cities program for the five county area surrounding Asheville including Buncombe, Henderson, Haywood, Madison and Transylvania counties. 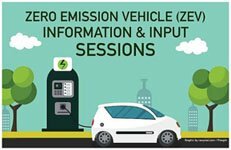 The North Carolina Clean Energy Technology Center (NCCETC) and NC Department of Transportation (NCDOT) are hosting four public Zero Emission Vehicle (ZEV) Information & Input Sessions at four locations across the state from March 22 to 29, 2019. Governor Roy Cooper has instructed state agencies to make plans to promote clean energy in Executive Order 80. As part of this effort, the NCDOT is creating a statewide plan to promote the use of clean transportation technologies and is looking for your input. You're invited to join one of our public planning meetings to learn more and provide feedback. 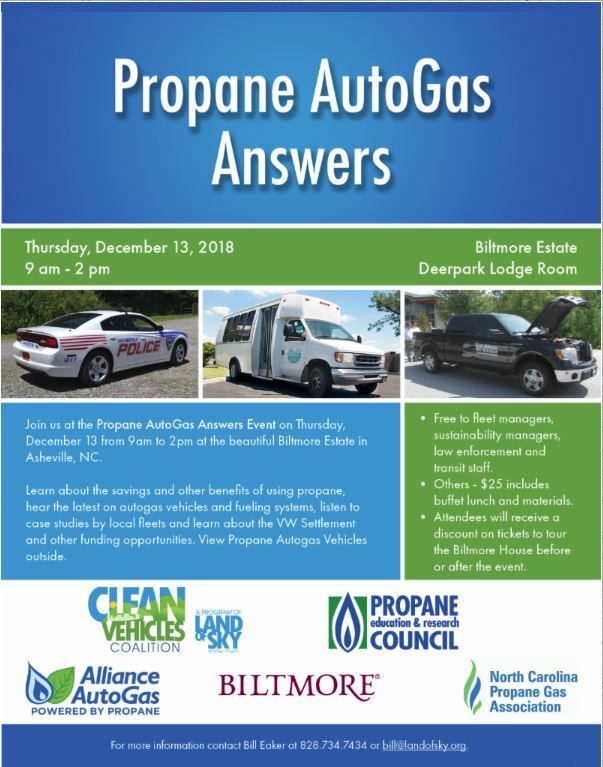 For more information contact Rick Sapienza, Director of the Clean Transportation Program at the NC Clean Energy Technology Center, at resapien@ncsu.edu or (919) 515-2788. Original Article on WLOS News 13. On Friday, the city unveiled it's newest zero-emission buses. 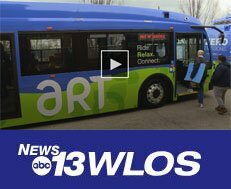 Residents were able to hop on board and get a test ride on what's to come in a few months. Original Post from Asheville City Source. 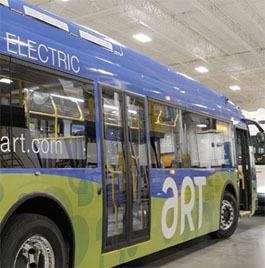 In 2019, the City of Asheville will deploy five zero-emission electric buses for the City’s transit system, Asheville Redefines Transit (ART). The Land of Sky Clean Vehicles Coalition was pleased to assist with the $633,333 FTA Low No Emissions Reduction grant. Wow, Clean Cities Coordinators sure are dedicated folks! They will do just about anything to promote alternative fueled vehicles and improve air quality! 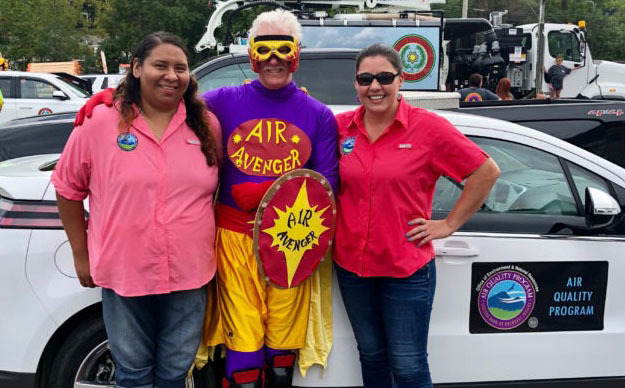 That includes becoming “The Air Avenger” superhero and educating hundreds of citizens attending Western North Carolina’s holiday parades. 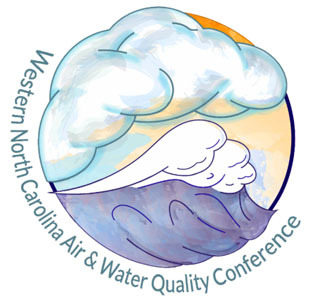 At the direction of Governor Roy Cooper, the Department of Environmental Quality’s Division of Air Quality (DAQ) worked with stakeholders and people across the state to shape the proposed plan for Phase 1. Based on public feedback, there was overwhelming support for replacing school buses with new, more efficient models. 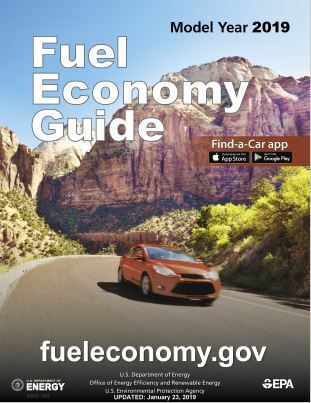 • Get answers to all your questions about costs, range, charging, and more! Presenters include representatives from the WPCOG, NC Division of Energy, Mineral and Land Resources, NC Division of Water Resources, Mecklenberg County Stormwater, UNC Charlotte, NC State University, Appalachian State University, Charlotte Regional Transit System (CATS), Centralina Council of Governments, and the City of Hickory.